Kong Heng is a popular restaurant / coffee shop at Concubine Lane, Ipoh. You won’t miss it as there’s usually a crowd around the area. 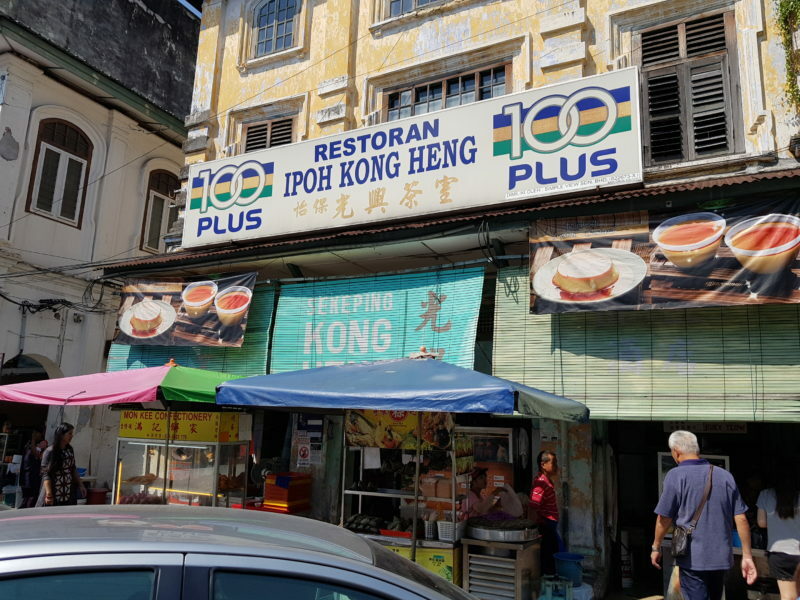 We managed to pay a visit to Kong Heng restaurant this time as it wasn’t crowded in the late morning (before lunch). 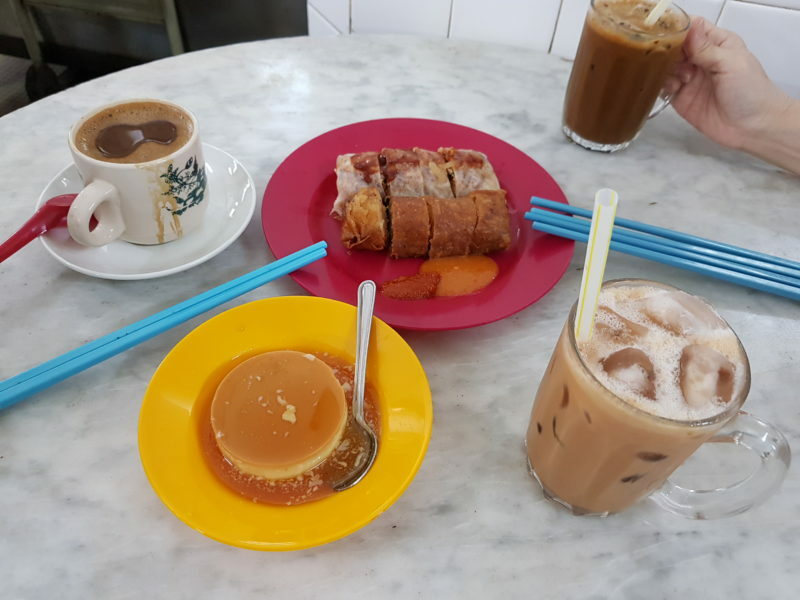 Here are some food you can eat in Ipoh’s Kong Heng Restaurant. There are many stalls inside the restaurant, but we only ordered from a couple of them. We weren’t hungry at the time, so we couldn’t sample too many different types of food. 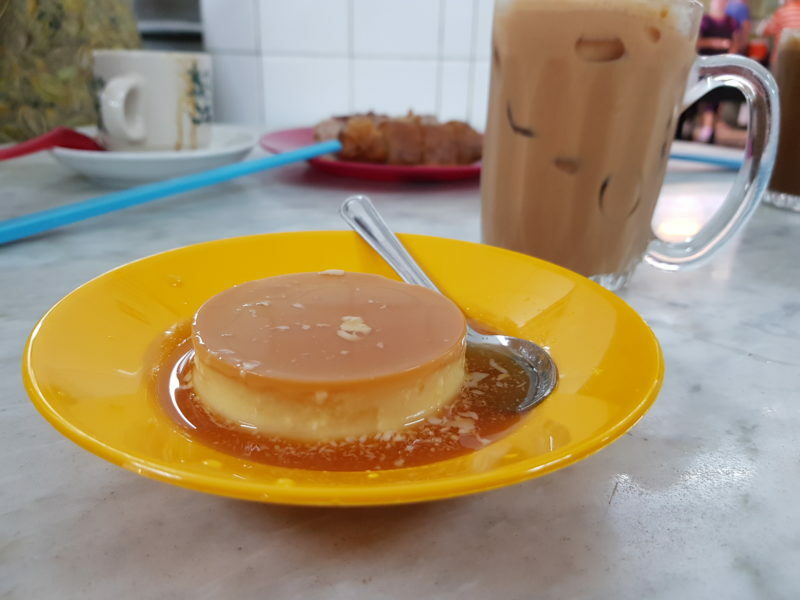 The coffee shops or restaurants in Ipoh tend to be popular with their custard dessert (pic above). The custard itself is cold and is covered with a light caramel sauce. Naturally, it’s quite sweet and you can eat it as an appetizer, a dessert, or just for the sake of eating. Do give it a try if you’re in Ipoh. Other coffee shops should have it as well. 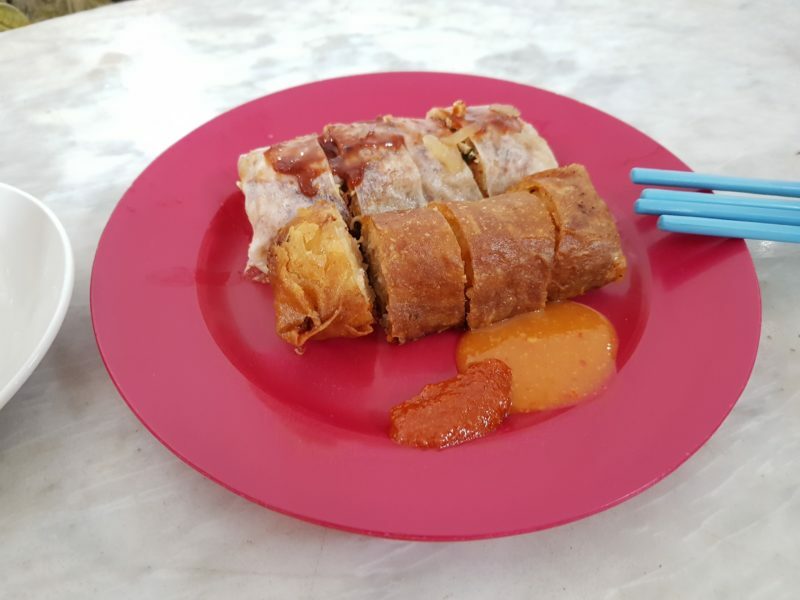 The next dish we ordered was this two-style popiah. One is the regular version and the other is the deep fried version. They are both pretty decent. We also ordered a different kind of pie tee from the prawn noodles stall. We didn’t actually order the prawn noodles which is the main dish being sold, but this unique-looking pie tee. If you order the smallest plate, you will get four pieces. 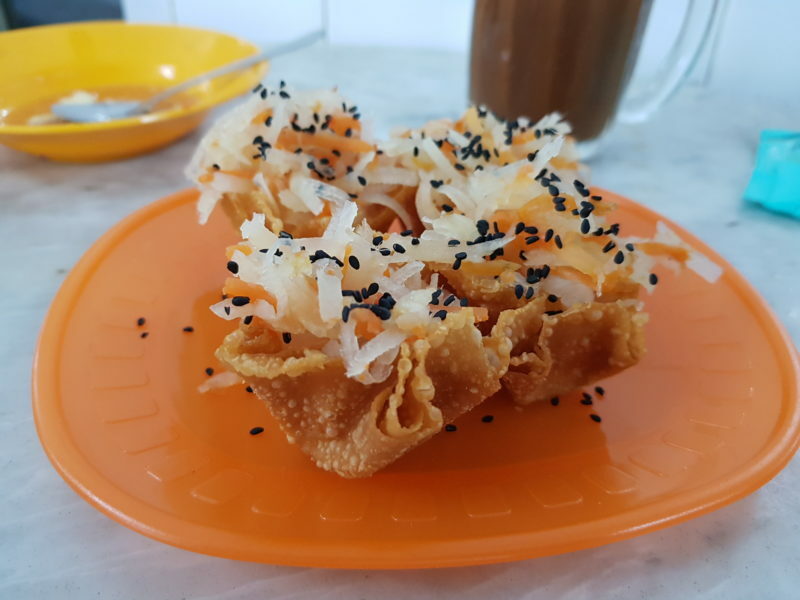 The pie tee skin is different, as they actually used the wantan skin rather than the normal base. It actually works pretty well! 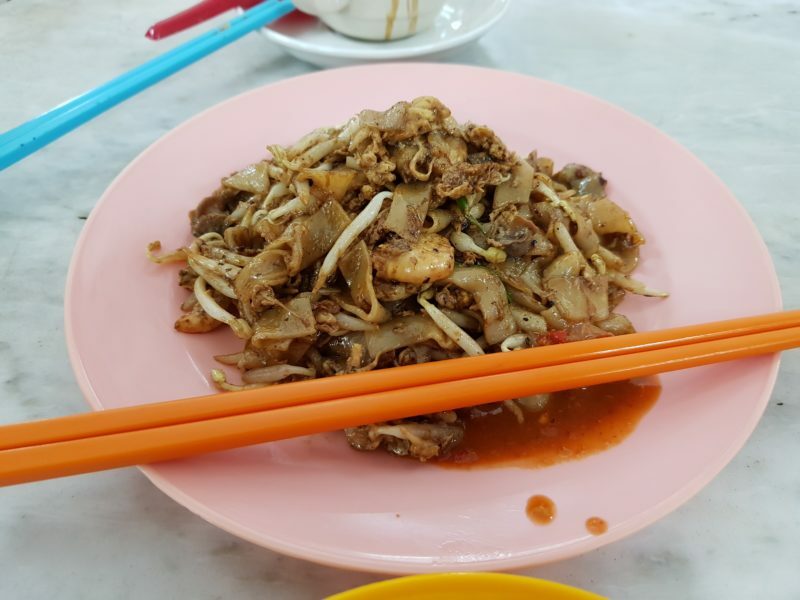 Personally, I prefer the nyonya-style pie tee, but this dish does have its own appeal. Lastly, we ordered the duck egg char kuey teow. It also comes with prawns and some siham (cockles). Taste-wise, it’s quite good. It’s less oily than the ones you normally find in Penang. 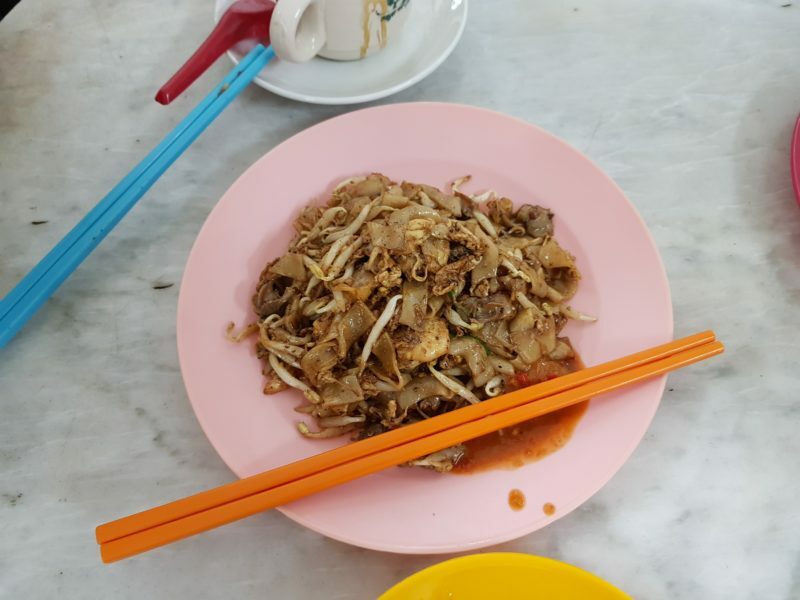 All in all, Ipoh Kong Heng has quite a range of food stalls to choose from, but you may need to wait for a seat during peak hours. There are many other stalls not covered in this blog, but I’m sure they are quite decent as well.